…but we now offer owners the choice of sailing in four incredible locations: Sydney’s Middle Harbour, Pittwater, Hamilton Island in The Whitsundays, as well as beautiful Bobbin Head. SMART Boating’s Sydney Harbour boat share fleet is located at Clontarf Marina. Fully refurbished in 2017, Sydney’s newest and most prestigious marina is located at Sandy Bay on the north eastern shore of Middle Harbour and on the ocean side of Spit Bridge. Naturally protected from all weather directions, this picturesque location in the northeast corner of the bay provides the perfect location for our syndicate owners to explore Sydney Harbour and beyond. Our current boat share syndicates available at Clontarf include an Aquila 36 power catamaran, a Hanse 418 yacht, a Lagoon 40 catamaran and a Gran Turismo 40 powerboat. You’ll enjoy easy access berths for sailing and powered vessels, including walk-on, walk-off pontoons for multihull vessels – a rare find in Sydney. Boatshare owners with a sailing yacht or catamaran will appreciate not only being on the ocean side of The Spit but also in close proximity to Sydney Heads. From here you can sail north to explore the waterways of Pittwater and Broken Bay or further afield to Port Stephen and beyond. Alternatively, turn right and you’ll soon be cruising past the famous sandy beaches of Bondi en route to Botany Bay … experience the freedom! Clontarf Marina is conveniently located for exploring Middle Harbour (for sailors the Spit Bridge opens regularly – find the times here) or to cruise round to Bradley’s Head from where you can fully appreciate the magnificent view of the Opera House and Harbour Bridge that awaits. There are numerous options for waterside dining and endless places to enjoy from the peace and quiet of your own boat. Whatever you choose, this luxury lifestyle will be one you want to share with family and friends again and again! Clontarf Marina is fully serviced with numerous marine trades on site. There are also toilets and showers available for berth holders to use and there’s ample car parking (which is free to all Northern Beaches Council residents). 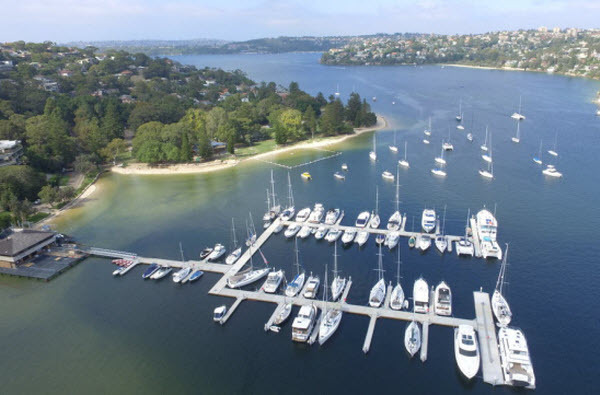 The original home of SMART Boating, Bayview Anchorage Marina is a state of the art floating marina and your gateway to the fantastic waterways of Pittwater and Broken Bay. Current SMART Boating syndicates available at Bayview include a Fountaine Pajot MY37 motor yacht, a Lagoon 42 catamaran, a Hanse 345 yacht and a Hanse 415 yacht. Bayview is a modern fully-serviced marina – perfect for our extensive boat share operations. Sydney’s largest sheltered waterway … with no passing traffic, both on and off the water, providing easy access to the safe, spectacular waterways of Broken Bay, the Hawkesbury River, Pittwater and Cowan Waters, affording owners living in Sydney’s upper North Shore with immediate access to some of the best waterways in Sydney … and only 30 minutes’ drive from Sydney’s CBD! SMART Boating syndicates available at Bobbin Head include an Integrity 380 motor yacht. This protected and peaceful anchorage affords you easy access to Sydney’s most stunning sheltered anchorages and sandy beaches, including Cowan Waters, Pittwater, Brisbane Water and the Hawkesbury River. 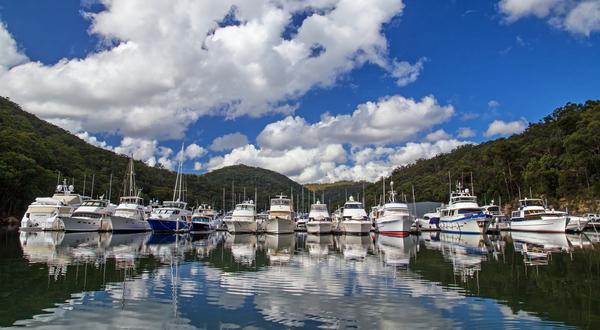 Whether you decide to simply take your boat out for a day trip or enjoy overnight anchorage in one of the countless secluded bays, it’s impossible not to relax into the serenity of Bobbin Head. Even though Bobbin Head is an incredibly peaceful place, the award-winning Empire Marina still has all of the facilities you need to really relax and enjoy your time both on and off your boat. Contact us or come and see for yourself why Bobbin Head is the perfect location. 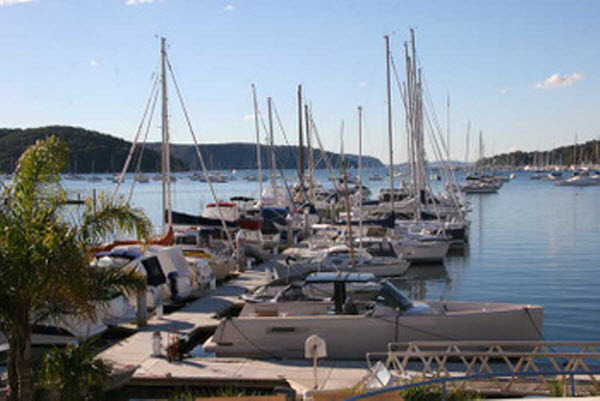 Is it any wonder that the Empire Marina, located at beautiful Bobbin Head, is Sydney’s most highly awarded Sydney Marina? Get away from Winter at one of the world’s most iconic boating locations. We have shares available NOW in a Lagoon 42 catamaran, providing owners with the opportunity to sail their boat in both Pittwater and the Whitsundays. 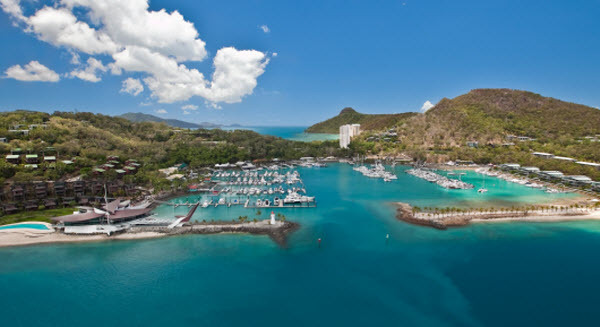 From July to October, the SMART Boating team seamlessly move selected boats to the Hamilton Island Marina, located in the heart of the Great Barrier Reef. It’s boating paradise! And with a jet airport serviced by Virgin Australia, Qantas and Jetstar, and direct flights from Sydney, Melbourne, Cairns and Brisbane, when you arrive you’re only minutes away from jumping on board! You’ll cruise and explore hidden bays, iconic beaches and discover your own piece of the Great Barrier Reef. Take advantage of all Hamilton Island has to offer, including a variety of restaurants and bars, an abundance of water sports and activities, spa treatments, golf and more – the lifestyle options are endless! As a SMART Boating owner, you’ll experience a world class marina, spectacular sailing and a truly vibrant lifestyle for the winter months.